We made an author's pie last year to introduce the author's purpose for writing... to persuade, to inform, or to entertain. We hung our pies in the hallway, but used them as a springboard for discussion when we discussed what we were reading and/or writing. I just felt like something was missing with that. So... after seeing Team SCOOT (who did this, by the way?) I thought, "WOW!" We are going to make our same PIE. Instead of hanging them in the hall, we are going to use them! 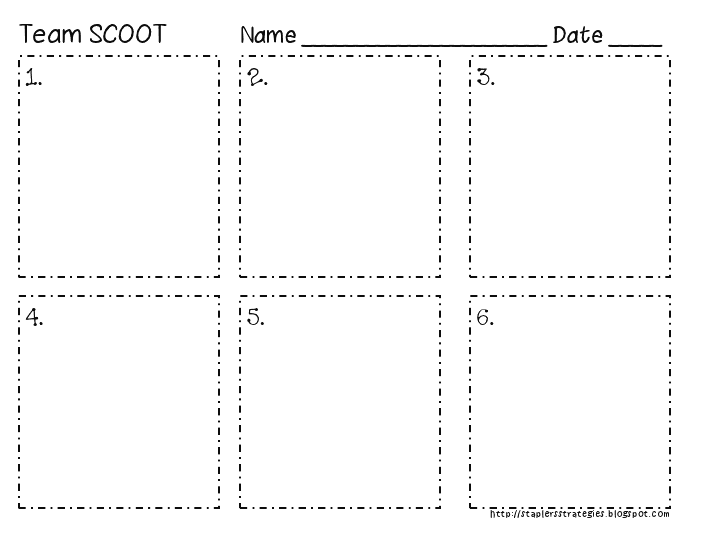 We will have a discussion of Author's PIE, then students will use the pies they've made to play Team SCOOT. One book will be placed at each group of seats and the students will scoot around to each pod and decide as a group what the author's purpose was in writing the book there. 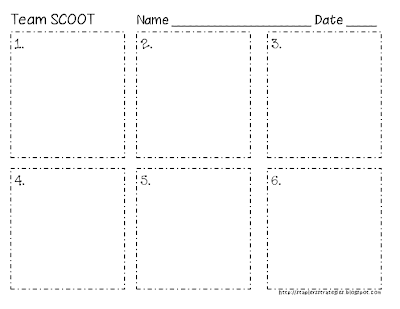 I will probably run the Team SCOOT sheet front to back and have the students go around twice before we discuss their answers. I'll get pictures as soon as we play and add them to this post. I just wanted to share my Team SCOOT page and the idea for my Georgia buddies who teach Author's purpose. :) Click here for Team SCOOT . How does Team SCOOT work, exactly? I've played typical SCOOT but I don't know about the author's purpose pies, either!